I am a passionate lottery player and as such I’ve been on both ends, I was a loser and a winner. I act gracefully both in victory and in defeat. Embrace the outcome no matter what it is. You out of all people as a lottery should know that prizes come when you least expect them. Since there are no guarantees a losing streak can really knock you on the ground. Considering the option to quit must be going through your mind, but if you quit you already lost, you will never win again. 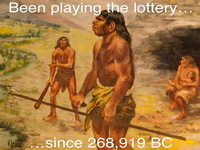 Over the course of history lottery prizes have been increasing every day. Today, players can play virtually any lottery in the world from any place. You can target lottery, which come with spectacular multimillion jackpots. All it takes is one jackpot, one time. This is a life changing amount of money which allows you to lay back and relax for the rest of your life. Personally, I’d settle for only 1 million since I think that’s enough for me to live a comfortable life. However, it’s highly unlikely that you will win the jackpot with only one ticket. You may become a multimillionaire overnight, but not with lottery. People who play the lottery are usually very persistent people who go all the way and want their hands on the prize. I am a dreamer and my dream is to become a lottery winner. There’s a big prize at the end of the line and I’m getting there. Quitting is not an option. 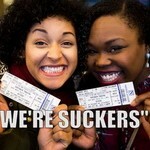 People who have never bought a lottery ticket can’t comprehend the excitement and the thrills we get each time we win. Due to this unawareness and ignorance, it can get quite annoying. The thing is I wasn’t annoyed in the beginning, but since it happens so often eventually I cracked. I literally start telling them to mind their own business and let me be. I love playing the lottery and I do what I love. On few occasions I actually bought an extra ticket and gave it to my friends. That’s one ticket for 3 of my friends. I was surprised by the look on their face when they watched the draw anticipating the win. They won a decent secondary prize, which in my opinion was the main reason why they bought their own tickets for the next draw. Since they couldn’t beat me, they joined me. Nonetheless, not everyone is an easy to crack nut. I wish all people were like my friends who I converted to being lottery players. Winning the lottery is like the fight of David vs. Goliath. You have a limited amount of resources and there are so many number combinations which can be the one, the winning one. It’s like finding a needle in a haystack. However, if you look for the needle with a magnet or with some sort of a special device you increase your odds of finding it. Now implement this approach to playing the lottery. You may not be able to win the lottery with a magnet, but a bit of researching won’t hurt you. 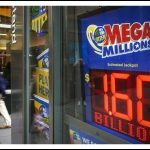 Although every individual number selection gives you the same chances of winning the lottery some combinations do have an advantage. The budget is always a constraint. It’s my biggest problem. Furthermore, in the beginning I was really bad with managing my money. Not to mention time management since I was working a 9 to 5 job, physically intensive. There were times when I forget to buy my tickets or check the results since I was exhausted. A novice lottery player will have a tough time dealing with problems such as these. However, in time everybody finds out what works for them. If you want instant results the lottery won’t give you any in the short run. There’s always that tiny chance of winning the lottery, but it’s more likely that you’ll win the jackpot once you understand the game inside out. The longer you play, the more hooked you become. This may sound like a bad thing, but think again. You’re doing it because you like it. 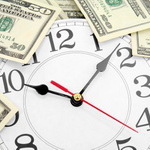 The bottom line is it will take time, money, attention and you need a lot of all of these. Most importantly, you need to utilize these resources efficiently and effectively. It may be a struggle, but it’s worth it! Whenever you start doubting your skills and knowledge remind yourself that you’re into lottery to win it and finally become rich and famous. Why Don’t You Put Your Lottery Energy into Making Money? Let’s Count the Money, Time and Effort You’ve Spent!